Sixteen year-old Katya Spivak is out for a walk on the gracious streets of Bayhead Harbor with her two summer babysitting charges when she's approached by silver-haired, elegant Marcus Kidder. At first, his interest in her seems harmless, even pleasant, like his name - a sort of gentle joke. His beautiful home, the children's books that he's written, his classical music, the marvelous art in his study, his lavish presents to her. But by degrees, almost imperceptibly, something changes. 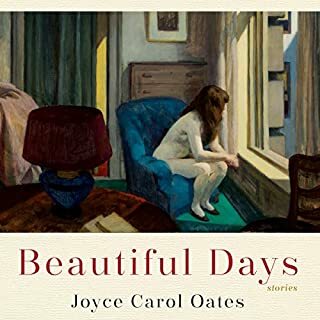 A young girl's disappearance rocks a community and a family in this stirring examination of grief, faith, justice, and the atrocities of war from Joyce Carol Oates, "one of the great artistic forces of our time" (The Nation). Zeno Mayfield's daughter has disappeared into the night, gone missing in the wilds of the Adirondacks. But when the community of Carthage joins a father's frantic search for the girl, they discover the unlikeliest of suspects…a decorated Iraq War veteran with close ties to the Mayfield family. As grisly evidence mounts against the troubled war hero, the family must wrestle with the possibility of having lost a daughter forever. 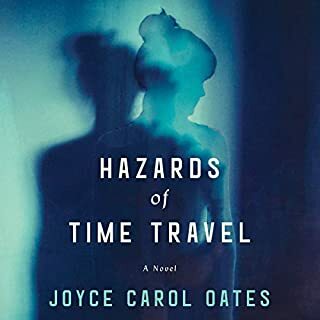 I have been a Joyce Carol Oates fan until now but will certainly have to be convinced of the value of any future books. The characters are superficial, the ?heroine could be autistic, borderline, schizophrenic or just badly behaved and selfish - but her upper-middle-class parents don't bother to have her assessed and/or treated. The structure of the book is no structure - it wanders all over the place with the voices of the individuals providing a confusing mish mash of points of view and life experiences - not to give it away but there is the human cost of U.S. wars, alcoholism, cancer, violence, confused sexuality, mental illness, poverty, affluence, an evil potential mother-in-law, religion, a questionable legal system and an individual able to influence politicians, many philosophical references and altogether too much fainting. The narration has been poorly edited with much repetition, and script-induced pseudo-hysteria. There are grammatical errors and misuse of words which could be either the author's or the narrator's problem. I could believe that this was written by someone else. It was a lot of time to waste in hope of improvement. What disappointed you about Carthage? Same incident rewritten 7 times from supposedly different points of view. The entire Part 1 could be deleted. NONE, not one of the characters elicited empathy or understanding. Least of all the missing girl - sounded like an awful, selfish, shallow girl. Cressida may be an uncommon name in the US but not in Europe. 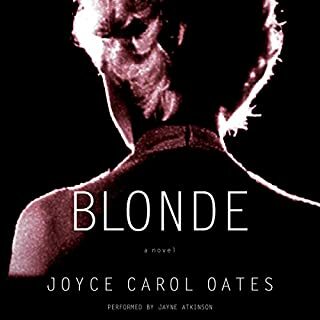 VERY disappointed in Joyce Carol Oates. I kept hoping something would happen, or the people would get more interesting. Nope. Oh yes, the entire part with the eccentric professor in Florida & Cressida's internship might as well be deleted too. 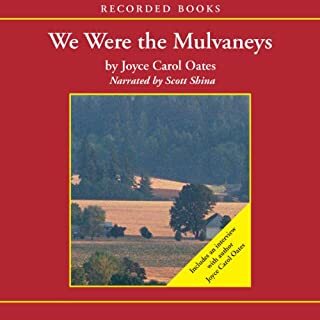 Didn't connect to any other part of the book. Nothing made sense.None of the people made sense. There was no story. Not anything new. Some of her old books were good. What didn’t you like about Susan Ericksen and David Colacci ’s performance? What character would you cut from Carthage? Still can't believe how bad this book is! 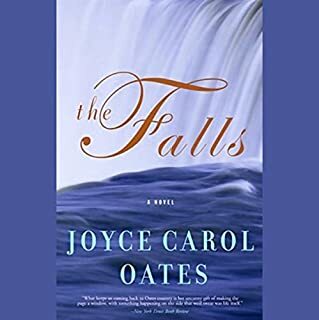 I've read much of the short fiction of Joyce Carol Oates and really enjoy it, so I wanted to try a novel. Three major things prevented me from really getting into and enjoying this book. I suppose the most noticeable thing was that the first part and the second part were so different that I nearly gave up on the book because I had so much trouble getting 'into' the second part. Frankly, it took so long in the second part to actually connect to the first part that I began to lose interest even though it was somewhat obvious what the big reveal was going to be. 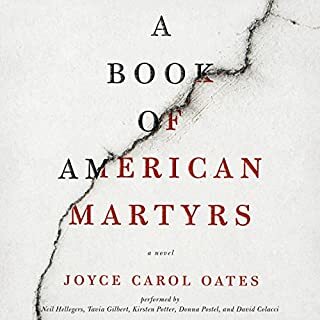 It started out as a dark, moody mystery about a missing girl (very typical Joyce Carol Oates) and then suddenly took a ninety degree turn into a death penalty social commentary- one with a cartoonishly evil character making the argument for the death penalty in excruciating detail. The disconnect was jarring, and very nearly put me off the book even though I had already invested so much time. The second thing that really bothered me was that I found NONE of the characters to be likable! I didn't hate all of them, but the ones who I needed to like to like the book were very off-putting. Cressida seemed like a horrid person, snide and full of herself and just plain nasty. Juliet comes across as being beloved simply for her looks, but otherwise fairly unremarkable. Brett, although it is perfectly possibly to sympathize with him as a wounded vet, still wasn't exactly likable either. He is revealed to have been a fairly ordinary guy, extra naive, before he went to Iraq, and a violent man plagued with PTSD after he returned. He is a very sad figure, but his tragedy really just made me dislike Cressida more strongly. Finally, the twist. I might have found it easier to accept the twist in the book if the story took place in a time well before the internet and 24-hour news coverage (which of course doesn't work if you want the Iraq war in the background). But I found it really impossible to believe that 1) Cressida literally never looked for or inadvertently saw any news reports about her case or about Brett's case anywhere, at any time, in the years when she was in Florida, or that 2) it never occurred to her until the moment in the death chamber that "perhaps" Brett might have been punished in some way for what people certainly must have concluded her fate to have been. Really? Whatever her deal was (Asperger's syndrome? ), she was not a stupid person. I am generally pretty good at suspending my disbelief when I'm reading fiction, but I just couldn't with this one. I didn't hate it, but I can't really recommend it either. It's just too uneven. Ok, I tried. Over twelve hours invested and I'm thinking if I still don't like ANY of the characters and I'm still bored with the story, this one is beyond a dud. The narration is decent, which often times can save a mediocre story line, but noooo amount of narrators skills can make it work. Save the credit for a good one! the basic story was well done but having to reread each event as lived by another character did not enhance the story. Eventually you just skip them. The story of a family torn apart by a disappearance is excruciatingly detailed. Each character and their inner thoughts and motivations are carefully detailed. The names are stiltedly repeated to remind us who’s reactions are being revealed. I was often frustrated by the slow pace and yet fascinated. 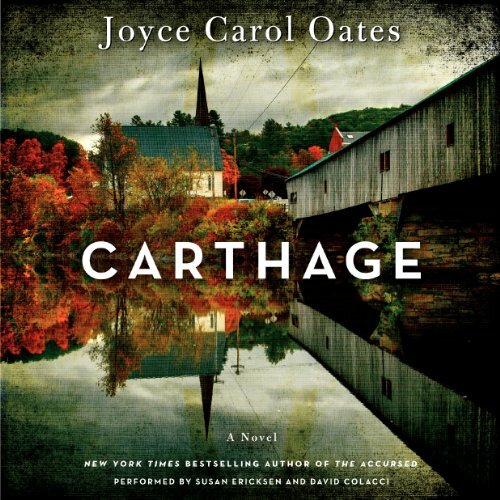 In the end, I’m not sure I’d recommend Carthage, but I appreciated the craft.